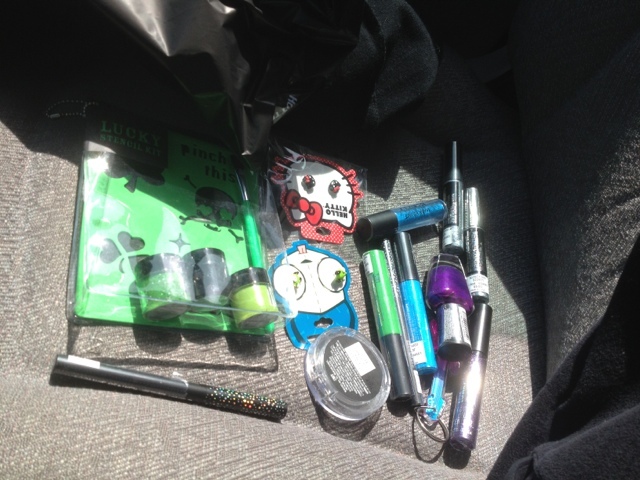 Went to hot topic and stocked up on non normal color makeup! Wooo so awesome. Shouldn't have to buy any for awhile. Also go cute hello kitty and gir earrings!